Metso is introducing revolutionary rock crushing technology at the CONEXPO-CON/AGG industry event in Las Vegas. 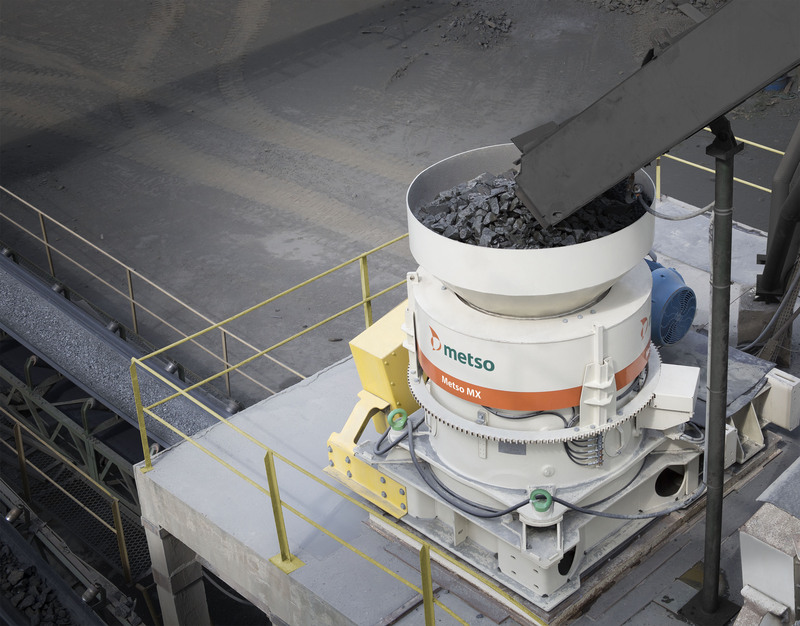 The Metso MXTM cone crusher is based on the patented Multi-Action crushing technology, which combines the piston and rotating bowl into a single crusher. The new crusher provides a giant leap in profitability by cutting operational costs 10% and enabling 10% higher uptime compared to traditional cone crushers. "Aggregate producers are facing increasing pressure on efficiency and cost management. In order to meet these demands, we rethought the crushing basics and combined our long experience in different cone crusher technologies with our extensive engineering knowledge. Two individual crushing methods based on the piston and rotating bowl were conjoined, and as a result, we created the MX Cone with Multi-Action technology," says Jouni Mahonen, VP, Global Sales & Product Support at Metso. Designed for the most demanding rock conditions and with a special focus on automated adjustment features, the Metso MX enables extremely cost-effective and safe operations. It also provides a very high reduction ratio with a premium end-product shape and consistency critical in aggregate applications. Its robust design makes the Metso MX also very suitable for demanding mining applications. The key benefit of the Metso patented Multi-Action technology is the easy under-load setting adjustment and wear compensation without having to stop the process. This can be now combined with extended wear life and better mechanical protection. Optimal cavity design, stroke direction and effectively distributed crushing action lead to the ulti­mate rock-on-rock crushing motion. This combined with the innovative Multi-Action technology results in extended maintenance intervals and higher production. The Metso MX also provides maximized tramp release distance with high protection against uncrushable objects and overloading. The crusher can utilize up to 70% of the mass of new wear parts - a record-breaking utilization rate. Thanks to the intelligent design of the crusher, the quality characteristics of all sized end-product fractions stay consistent throughout the lifetime of the wear parts. "After 10,000 hours of rigorous testing, we are proud to say the Metso MX meets our targets for increased profitability by allowing 24/7 crushing with minimum downtime," Mahonen concludes. Visit www.metso.com/mx for more details, and follow us on social media for exclusive images and updates of the launch at CONEXPO-CON/AGG.